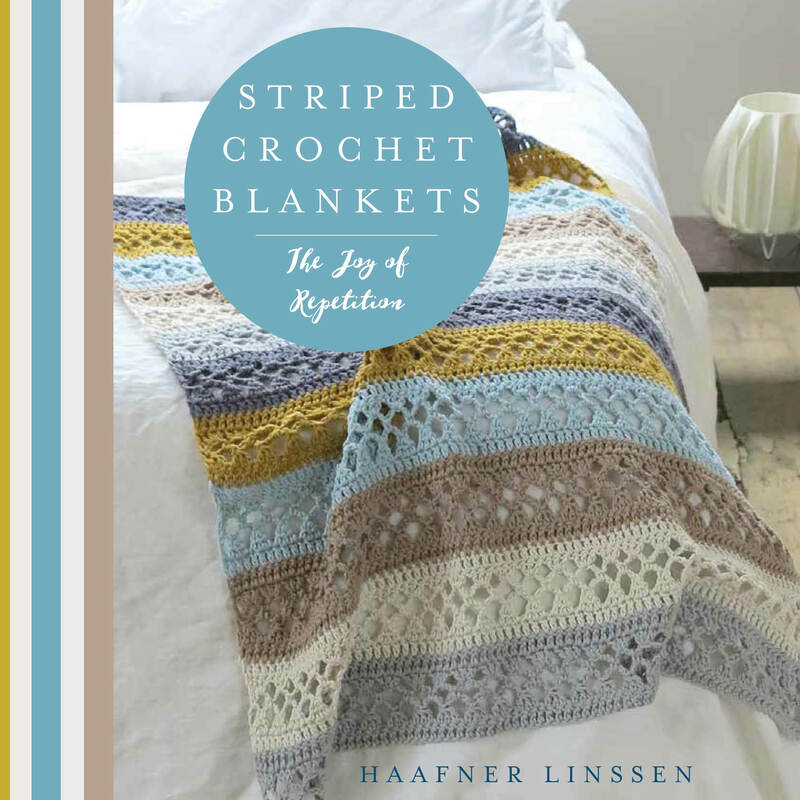 Join Haafner Linssen on a journey into the world of crocheting stripes. These patterns are relaxing to create (taking readers into a state of what psychologists call ‘flow’), work up quickly and without lots of ends to sew in. Patterns for 20 beauti ful striped blankets are included, from simple patterns that use only the most basic stitches to more complex creations that use less commonly known stitches. Each project comes with a written pattern, chart, colour advice and instructions for making it in a variety of sizes. All the basic crochet techniques are clearly explained. The blanket stripes are solid, textured and cabled, lacy, diagonal, chevron, intricate and eclectic. A chapter of bonus projects include potholders, tea towels, pillows, wall hangings, bedspreads and rugs.